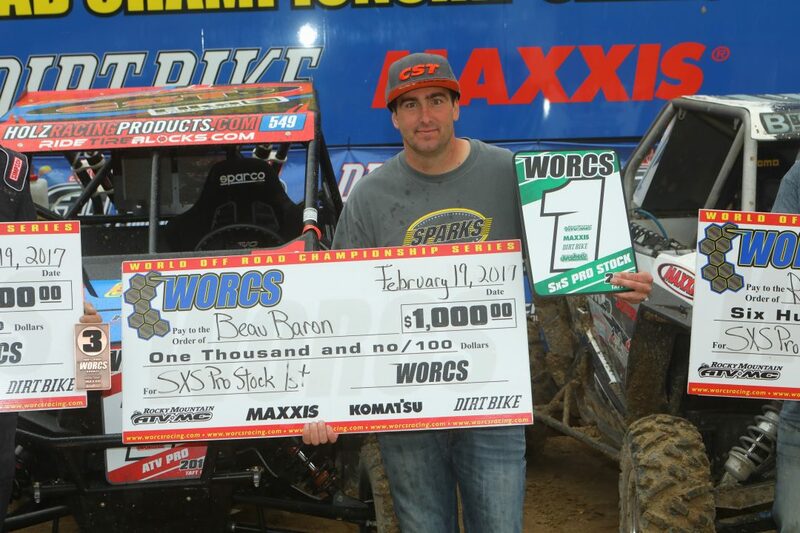 Minneapolis, Feb. 22, 2017-Polaris RZR Factory Racer Beau Baron won the SxS Pro Stock class with his RZR XP 1000 EPS at WORCS Round 3, in Taft. Calif.
Coming off a Pro Stock win at the WORCS SxS World Finals in Primm, Nev. last month, Baron’s win this past weekend now puts him in second in the point standings. Polaris Factory Racer Cody Bradbury, who won the overall at the WORCS SxS World Finals in his RZR XP Turbo EPS, raced his RZR XP 1000 EPS in the SxS Pro Stock class and finished fourth. Bradbury sits in fifth in the point standings with plenty of racing left. WORCS Round 4 and 5 will be in Lake Havasu, Ariz., Mar. 17-19. Cody Bradbury is sponsored by Polaris RZR, Wholesale Captial, Walker Evans Racing, Holz Racing Products, Team Bradco, GBC Motorsports, DASA Racing, Gates, Grant Products, Temecula Motorsports, Magik SC and Suspension Direct, Inc.